Guided Imagery Relaxation Tips for ADD? 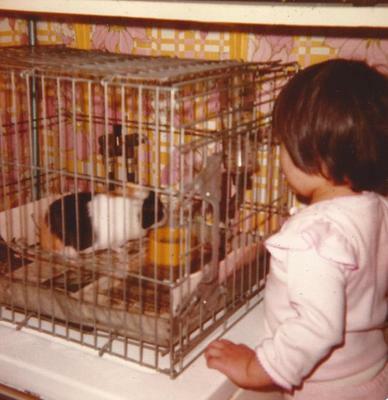 entranced by a guinea pig at age 3 while I sould have been sitting down and eating lunch. Recently I enrolled in your Learn to Relax course (which is incredibly informative- so thanks!)) and find the guided imagery relaxation techniques/scripts to be the most appealing. When I listen to them right before bed I fall asleep within minutes. This is awesome (as I have trouble falling asleep) but when I try to use them during the day or in the morning I have problems focusing on the scripts, as I have ADD and so end up thinking about a myriad of other things that's prompted by the images in the script (e.g. Starry Sky will make me think of quasars, the Hubble spacecraft; the Color Visualization I end up thinking of all of the different colors of paints I have and which ones I need to buy (which reminds me I need to buy Ultramarine Blue...;)) I find these thoughts interesting and exciting but not relaxing. At any rate, I'm attributing this issue to my moderate ADD and am wondering if there is any advice for being better able to focus on relaxing for people with ADD/ADHD? - You may want to try writing your own custom relaxation script and recording it. Choose images that will hold your interest the most effectively, but are relaxing. You know yourself best and you know what types of cues will help you focus (and when you are likely to need them). - Have you reached the Biofeedback module yet in the Learn to Relax course? Biofeedback can be a helpful way for you to learn to relax your body and it can also help you train yourself to focus. - The best suggestion I have is to keep practicing. Know that it is normal to have difficulty focusing; nearly everyone finds this challenging at first. Having ADHD symptoms gives you an additional hurdle to overcome, so it may take more practice, more movement breaks, or intermittently using active types of relaxation to get to the point where you can focus for a longer duration. Comments for Guided Imagery Relaxation Tips for ADD? ...what you said makes a lot of sense. Admittedly (and ironically I guess), I'd been avoiding the Biofeedback module/physical scripts as I thought they wouldn't keep my interest long enough :D My suspicion is that your relaxation videos on YouTube (which subsequently led me to enroll in the course) were wisely recommended to me so that I could slow down my mind a bit and begin to focus on the body in the present, which would decrease stress and anxiety. Great! I'm glad you're trying out some new techniques and finding them helpful. It sounds like the active types of relaxation are especially suited to your skills and preferences. That is definitely true. People with ADHD will have a great difficulty focusing. Maybe things like these can help them as well. It is us who can actually help them overcome this problem. If we can guide them, maybe they can find a way out of this illness.